The ever-changing legal landscape in California is enough to confuse even the most knowledgeable construction professionals. But, with the new California Contract Templates, you can rest easy knowing that there are specialized contracts, forms, waivers, and notices written to meet the CSLB's unique and strict guidelines. Updated to reflect the most recent changes in California, UDA construction contracts include the newest clauses, contracts, and forms for General Contractors, Home Builders, and Home Improvement Professionals. UDA California Contract Templates includes over 100 specialized contracts and forms, including California construction contracts, home improvement contracts, forms, waivers and notices written to meet California's unique and strict guidelines, plus the latest General Liability Insurance disclosure (SB2029) requirements which are currently being implemented throughout the CSLB guidelines. In an industry where emotions run high and possibilities for misunderstandings and miscommunication thrive, nothing can be more essential to protecting your business than professionally-authored construction contracts and forms. Utilize the comprehensive library of industry-standard construction contracts to take control of your projects and ensure clear communication with subcontractors, suppliers, and customers. Endorsed by the Industry and updated annually by leading construction professionals, UDA Construction Contracts and Forms are designed as a companion product for Microsoft Office and include clauses for scope of work, permits, insurance, arbitration and toxic mold to address the latest critical issues in the industry and provide professional solutions for your Project Management needs. Need a Single Contract or Form? UDA now offers 34 popular individual contracts and forms available for purchase and immediate download as word processing files for Microsoft Word, Works, WordPerfect and most other word processing applications. $9.95 - $23.95 Buy Now! UDA Technologies is one of the fastest growing providers of construction software worldwide. 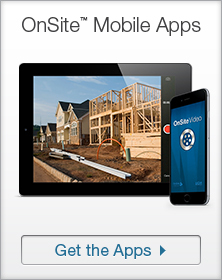 UDA ConstructionSuite™, best-selling project management and construction estimating software for small to medium firms, is available in industry standard versions for professionals, builders, remodelers, general contractors, homeowners and do-it-yourselfers, construction management firms, and real estate developers. 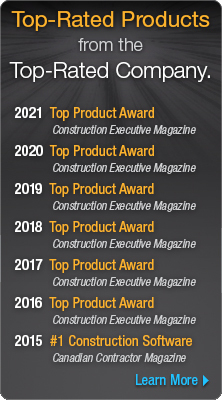 Professional Builder magazine recently awarded UDA ConstructionSuite as one of only 6 software products selected for the "100 Best New Products for Construction". UDA software is used by tens of thousands of users in 60 countries worldwide, including members of the elite Fortune 100. Additionally, UDA Technologies' project management and construction estimating software solutions have been featured in Builder, Professional Builder, Remodeling, Professional Remodeler, Constructech, Qualified Remodeler, Residential Architect and Custom Home magazines. UDA construction software builds on the power of Microsoft Office and QuickBooks to provide an easy-to-use project management system designed for the way you work. The ConstructionSuite system is complete with accurate Construction Estimating software, comprehensive Contracts and Specifications, QuickBooks Integration, smart Scheduling, and Mobile Integration for Pocket PCs. Join the tens of thousands of construction firms in the United States, Canada, and over 60 countries worldwide using UDA construction software to build sales, build efficiently, and build their business. A smart decision for your business. UDA clients include tens of thousands of successful Construction Professionals worldwide and range from Fortune 100 member Marriott, the world's leading hospitality company, with 21 brands including: Ritz-Carlton, Marriott, Renaissance, Courtyard, Fairfield Inn, Ramada and Residence Inn, to Custom Builders, Remodelers and Individuals such as Randall Taylor, host of HGTV's former HomeBuilding Digest television show who uses UDA Project Management and Construction Estimating software for his own construction business. Copyright ©2003-2019 UDA Technologies, Inc. All Rights Reserved.